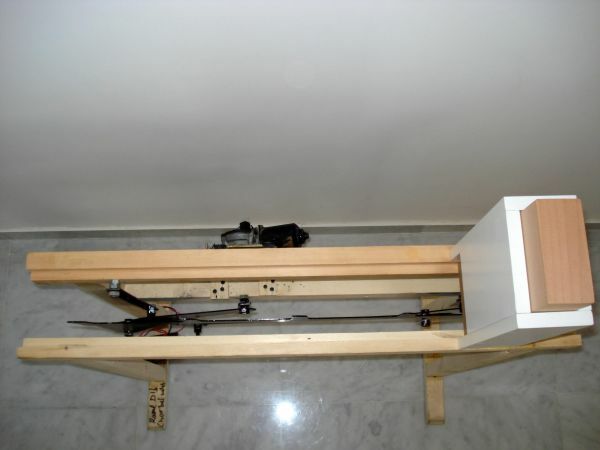 These are the pictures of a class project done by Raoul D. Dib and Charbel S. Saleh at the Lebanese University Faculty of Engineering - Roumieh. 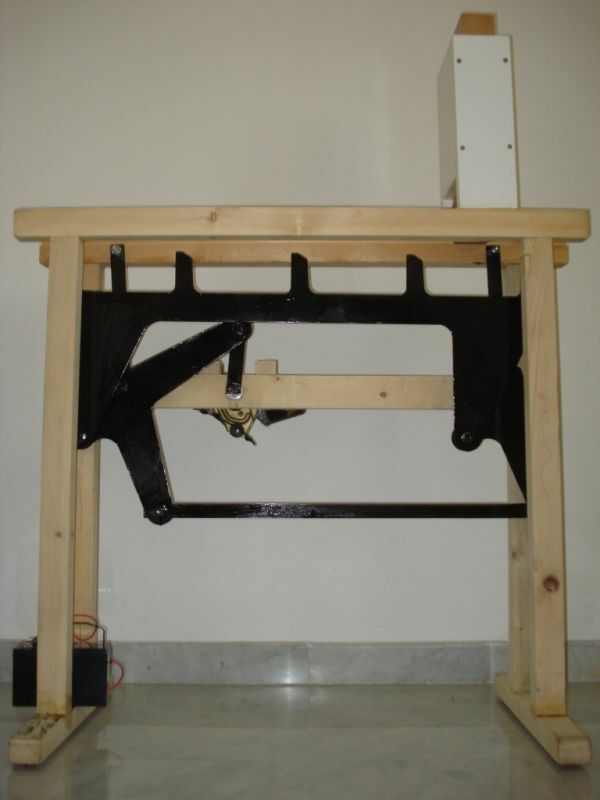 They manufactured their mechanism from the animation shown in here I am very happy that my efforts inspires young engineering students, and pleased with their contribution to my web site. You can find the technical drawings of Raoul in here. 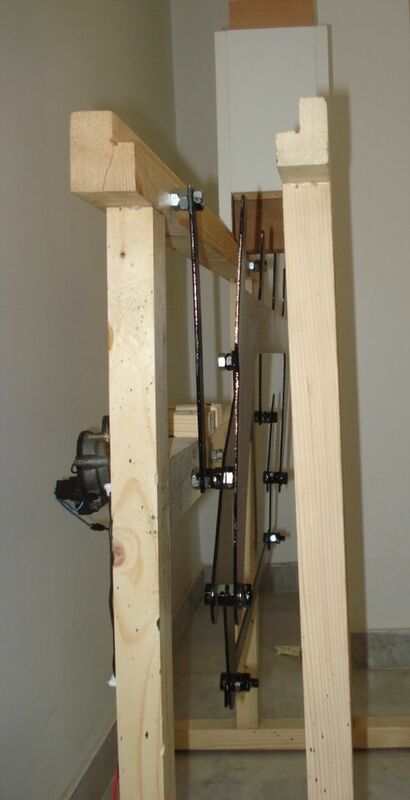 I would like to thank Raoul El Dib for providing the pictures of his material feed mechanism. 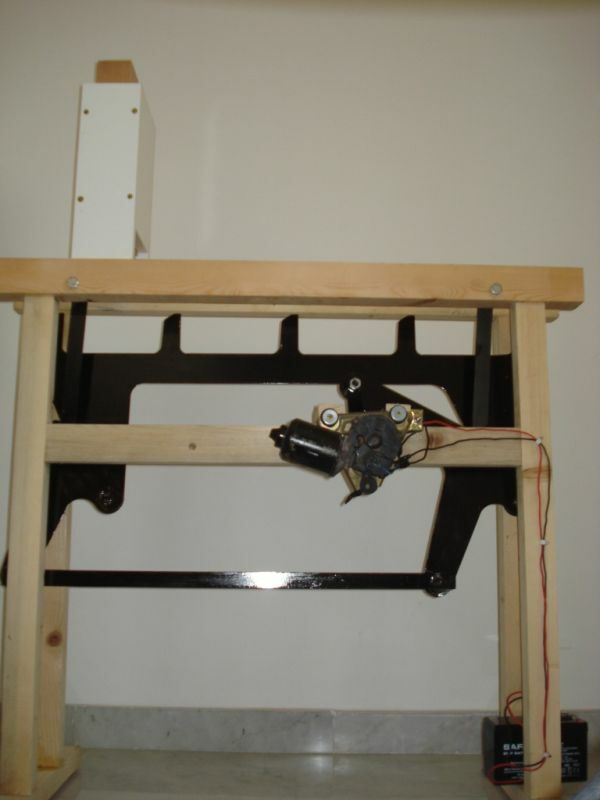 If you are looking to build your own mechanism, I recommend you find the dimensions of your feed mechanism with trial and error. You will learn much more with trial and error than imitating Raoul's dimensions. Is this only a simple motor or have you connected some speed reducer or any oyher small component with it as well?? 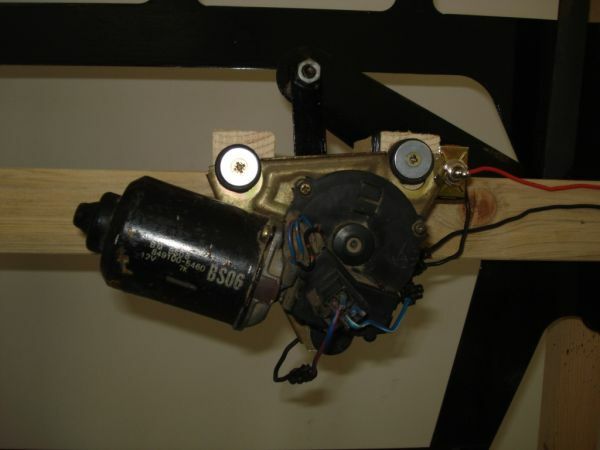 This is a car windshield wiper motor with built in speed reducer. How to design a material feed? What are the components is need for design? i am also working on this project, so please send me soft copy or text material for project report file. please give me information about what advantages this mechanism gives in place of conveyor system???? any example of any industry that using this mechanism. Can you plz send me the " DESIGN "